Home Pokémon Go	Our Top 5 Wishes from Niantic for Pokémon Go (Inspired by our PGo Friend, JVPBlackhawks20)! We’ll admit it. We’re still playing Pokémon Go, even a year later. And, you know what? We love it and we’re not ashamed. Of course, it does get a little boring between events at times, but the social aspect, the motivation it provides to get us outside, exercising, the occasional rare finds in the wild, Gym Raids, and really special moments like hatching a Halloween Hat Pichu, are enough to keep us playing. But, (almost) no game is perfect. And, as much as we enjoy playing Pokémon Go, there’s still a lot of room for improvement. With that in mind, we decided to devise our own list of changes we’d like to see Niantic make to the game. Here are our top 5. 1. Update the Coin System. Currently, you can earn up to 50 coins in a 24-hour period by either keeping you’re Pokémon in a single gym for the necessary 8.5 hours, or by keeping multiple Pokémon in gyms and their total survival time adding up to 8.5 hours. However, with 50 being the maximum amount of coins you can earn in one day (lowered from the max of 100 coins daily prior to the last round of gym updates), this means that even if your Pokémon survive in 3 gyms for 8.5 hours, for what should be 150 coins earned, only 50 will be added to your account. Since we have no control over when we’ll be knocked out of a gym, we have no way to space it out so we receive at least 50 coins each day. In fact, the way it normally works is that people go out and raid gyms each evening, causing all of our Pokémon to be sent home within a 24-hour window. This means that it really doesn’t pay to take more than 2 or 3 gyms at a time beyond trying to get gold badges or having bragging rights to gym control across your town (unless you just like that part of the game). We suggest that Niantic lowers the amount of coins that can be earned from a single gym from 50 to 20 AND take away the maximum daily amount. This way, if players want to spend the time and resources necessary to take multiple gyms, they can earn coins and gym experience as reward for their work. This will also make the gym scene more competitive. 2. We want better egg hatches. Although the level of Pokémon caught in the wild gets better the higher your level (up to 5000 stardust), the same is not true with hatches. No matter what level you are, egg hatches max out at 2500 stardust. Arguably, stardust is the most valuable commodity in the game (aside from candy gained from rare catches like Larvitar, Mareep, and Dratini). And, it takes A LOT of this precious substance to power up a Pokémon from 2500 to 5000, in order to get it battle ready. 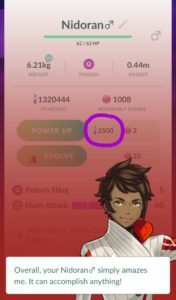 In comparison, we’ve discovered (with some advice from our friend, Jerry) that it’s much more efficient to turn a “strong” IV Pokémon that you catch in the wild that has a 4500 or 5000 level stardust into a gym fighter or defender. (Especially, if their attack or defense is at 14-15 and their HP is decent). Plus, doing this saves that valuable stardust to be used on a 96 IV shiny Gyarados or that 100 IV Tyranitar that may be a part of your team. Overall, we’re just really disappointed with our egg hatches. Not only do they max out at 2500, but somewhere along the way the metrics were changed where too many now end up being Strong instead of Simply Amazing. This causes us to question whether or not it’s worth spending money on incubators to hatch creatures that we’re going to end up discarding. We propose that Niantic allow level 30 and above players to hatch as well as they can catch. Even if the probability of an egg producing an amazing and high-level monster is lowered, we just want the ones we do obtain to really be worth it! 3. Raise the level cap in the game. 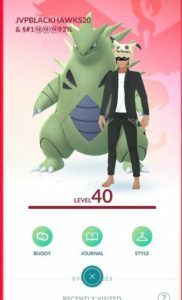 We believe it’s time to raise the max cap from 40 to 50 so that players who’ve been diligent, worked hard, walked many kilometers, caught thousands of Pokémon, and want to continue to play the game, despite having reached level 40, can do so. You will also need to pro-rate players that have reached level 40 and continued to gain experience up to where they should be in the new cap. 4. The item storage amount should be increased. One of our most used meme’s while playing PGo is “you’re bag is full. . . you’re an idiot”. Harsh, we know. But, what does this say about the frustration level we feel each time we get that message? Are we idiots for letting our bags get full, for stopping to manage inventory instead of continuing to walk, or for having such a love/hate relationship with the game? We won’t answer that; but believe us, we say it quite often! This frustration we’re describing has to do with the fact that the maximum storage level for items is 1500. We believe this is a hindrance to the intent of the game. We understand the roll of item management in video games. When used correctly, this can add to the difficulty and create rewarding challenges that you have to overcome to succeed. (Resident Evil 4 is the perfect example of tough but fair item management that adds value to the gameplay and causes the player to think before blasting their way through a fight). However, in PGo it is a MAJOR frustration to have to throw away items that you’ve earned, seeing that it doesn’t add to the difficulty or challenge of the game in a rewarding way. It is a complete waste of time to continue to have to manage your item inbox if you are out walking, when you need to be focused on catching and spinning. At least give us the option to block or automatically delete certain unneeded items. 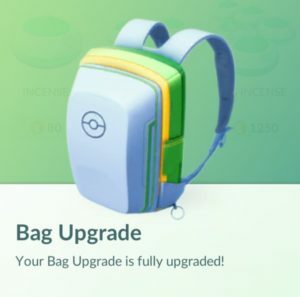 As you level up, participate in special events where catching and hatching are a must, raid/battle in gyms, and add new Pokémon (as they’re released) to your Pokédex, you just need more item space! We think that the item storage limit should at least be doubled, if not expanded exponentially. It would not hurt the game. After all, this would also benefit Niantic since we are essentially paying for the storage space at a rate of almost $2 per 50 slots. Players, especially those over level 30, would find it much easier to have what they needed to cover any type of situation. They would not have to manage items until they got home for the evening. And, on top of this, they would be able to avoid the constant heartbreak and frustration of throwing away precious assets for the sole reason of not having enough room. 5. Offer more and varied items for purchase. Whenever PGo events come along that really make it exciting again to hatch eggs, do gym raids, catch more Pokémon, etc., it changes the dynamic of what items you need in the game. At times you need more potions, at other times you need more pokéballs, and sometimes you just need to be able to hatch more eggs. 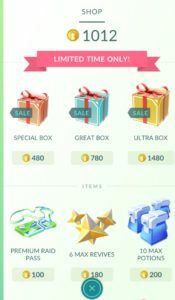 Niantic, please give us the ability to buy and use special items to get what we need. These are a few that we’d love to see. A. We’d like to have different types of incense that help increase the drop rate of particular items at gyms and pokéstops when used. We want a yellow incense that increases the rate of potion drops, a red incense that increases the rate of pokéball drops, a purple incense that increases the rate of rare items like max potions, max revives, purple eggs and even rare evolve items. B. We want different types of lures that would increase the appearance rate of various types of Pokémon. We want a brown lure for rock Pokémon, a red lure for fighting type Pokémon, a silver lure for metal type Pokémon, blue, orange, yellow, and white lures for water, fire, electric, and ice type Pokémon, etc. It could even be random using the existing lure or a new golden lure. But just think, how cool would that be to have different color leaves falling on the map at pokestops, and be able to go to the one you choose in hopes of catching that last Magikarp to be able to finally evolve it into your next Gyarados, or to catch that much needed final Mankey to get the fighting medal! C. We want more options for customizing our Avatar. 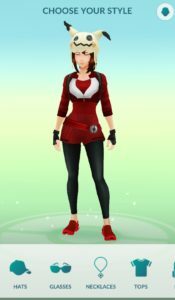 Gamers love to customize and we feel that Niantic is really missing out by not offering PGo players more ways to make their Trainer really stand out. We want more clothing options and more ways to modify our character’s look. Because, let’s face it, besides a few aesthetics, we pretty much all look the same. 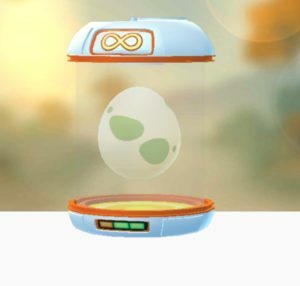 D. Lastly, and maybe most importantly, we feel that Niantic should make it possible to obtain a second infinite “golden” incubator. Free for hitting the level 40 cap would be nice (instead of more lucky eggs), but if that’s not an option, then we’ll pay for it! With the potential of what it could do for us over the long run, we’d be willing to shell out anywhere from $20-$40 for this ultimate item! We need something to look forward too as we reach those infinitely expanding higher level milestones. And, if Niantic is worried that this offering a 2nd infinite incubator might mean a potential loss in micro-transactions over time, then we propose it only be offered to players level 35 and above. These are the folks that are the main sources of income for Niantic anyway. And truthfully, a second incubator is going to be used for hatching 2K eggs. We’ll still be buying incubators for hatching the larger ones. 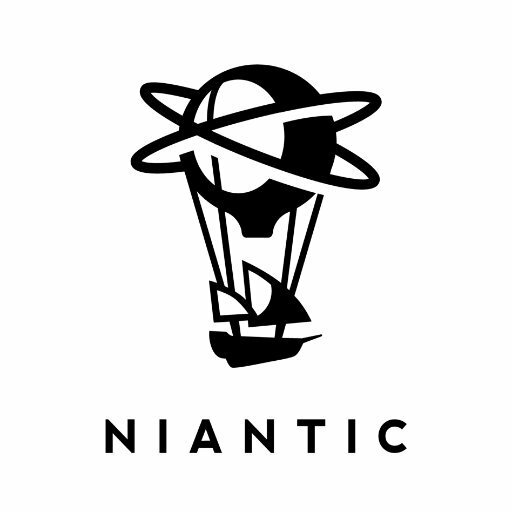 Overall, we do feel that Niantic can still do a lot with the game. And, with some tweaks, enhancements, and additions, they can keep players going for a while to come. Tell us what you think! Comment below with changes you’d like to see Niantic make to the game.